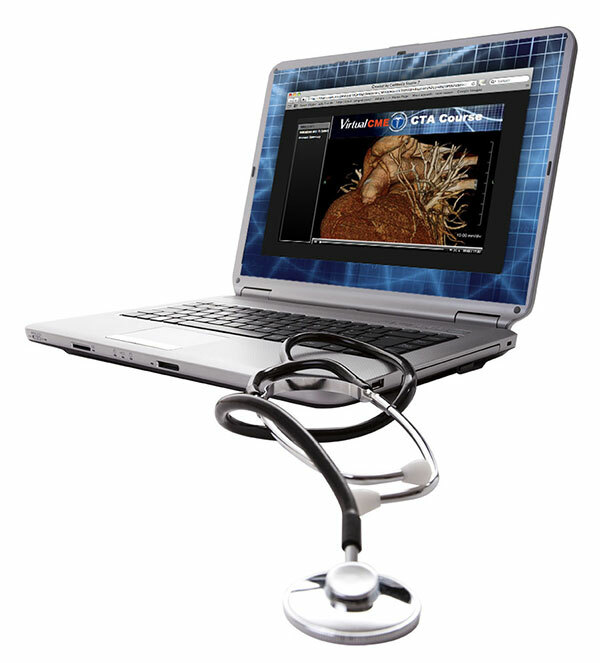 Virtual CME provides medical imaging CME online. Virtual CME courses are taught by expert trainers, utilizing a wide variety of cases. Virtual CME courses give physicians the classroom experience by utilizing streaming video lectures, mentored case reviews, webinars and an online 3D workstation for hands on training. Virtual CME has worked with the top eLearning technology companies to develop an interface that is easy to use and efficient. With an intuitive layout that utilizes the latest 3D Visualization technology, you will have a hands on educational experience that allows learning at your own pace. Virtual CME courses are priced to be competitive with live courses. Our courses are cost effective with no airfare, hotel costs, or time away from work. Virtual CME gives you the ability to train from any computer with internet. Students are provided access to a 3D visualization cloud on your computer to review cases at a convenient pace. Streaming video and webinars allow students to watch case reviews and interact with our expert trainers. Virtual CME courses are sponsored by the University of Arizona College of Medicine at the Arizona Health Sciences Center. Courses are accredited to provide AMA PRA Category 1 Credit(s)™. Detail on accreditation available on Virtual CME’s courses page.